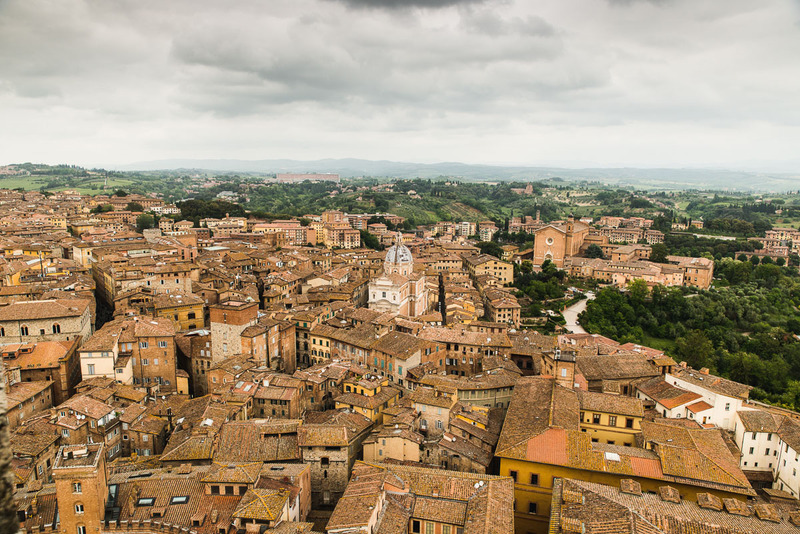 Siena is a gloriously beautiful medieval town built upon three hills in the heart of scenic Tuscany. 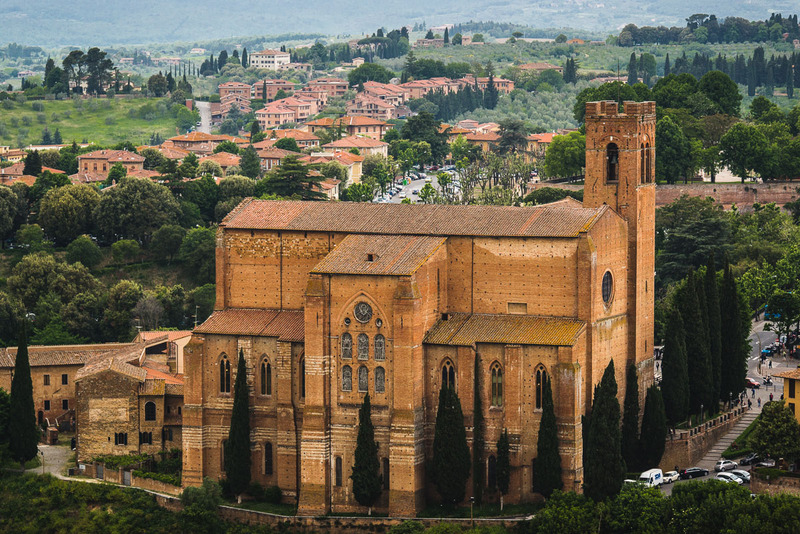 It is a city full of churches, museums, and great views over the surrounding countryside. 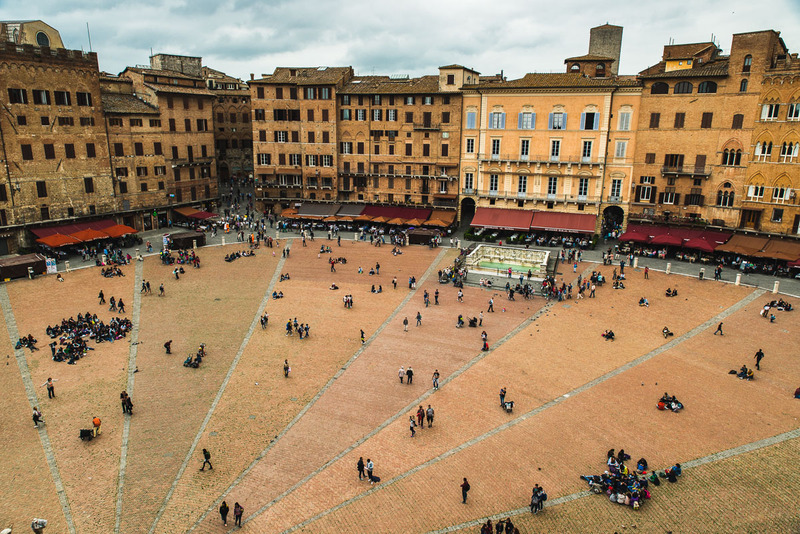 In the center of the town, you will find Piazza del Campo, a spectacular shell-shaped piazza that is simply mesmerizing. 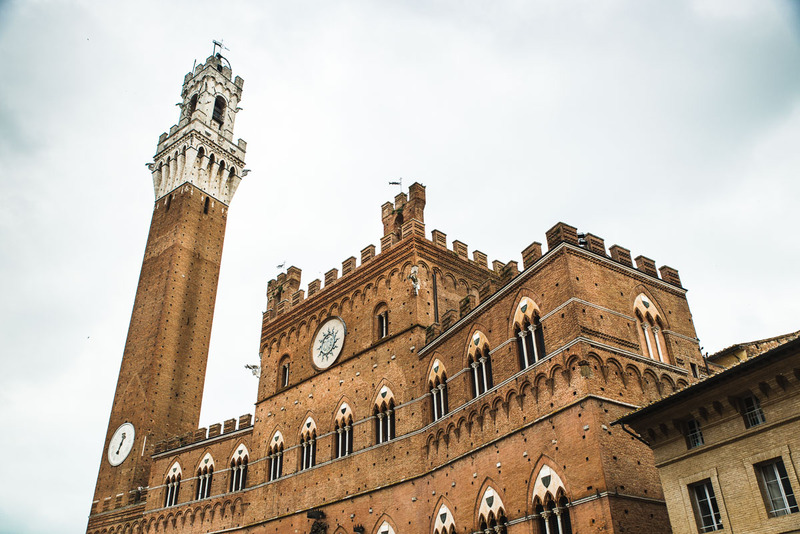 It is famous for the Palio, which is a horse race running here twice a year, in the summer time. 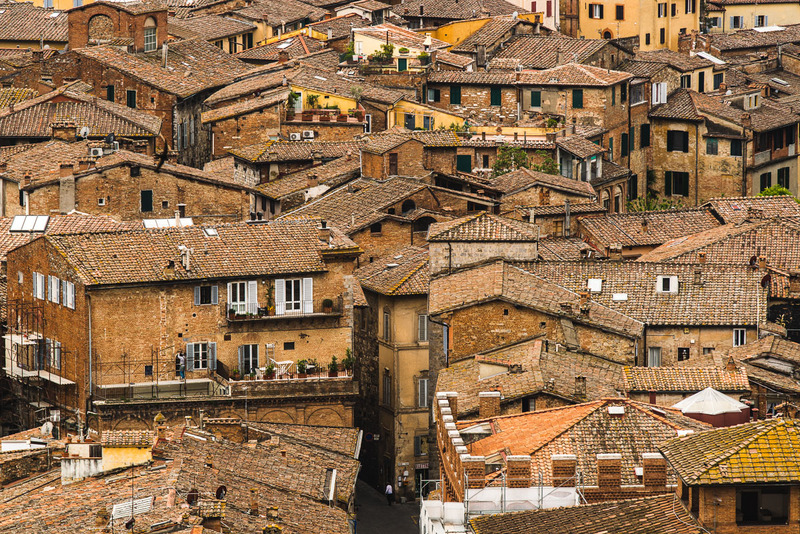 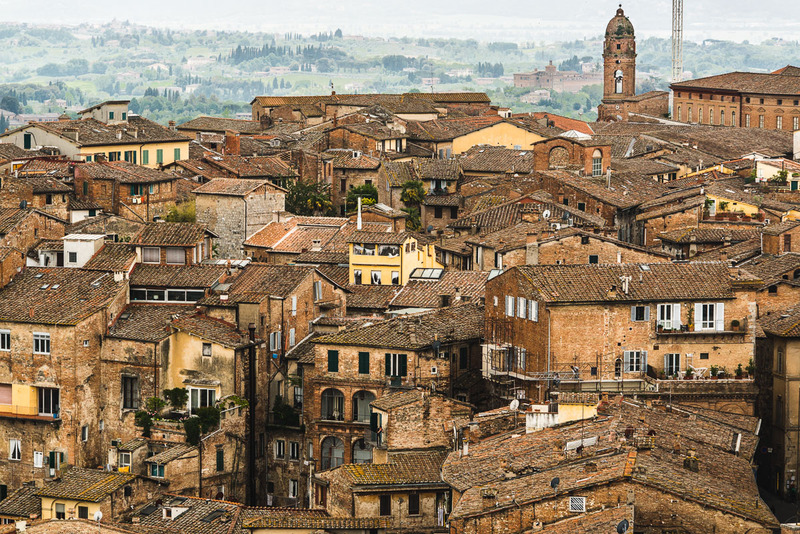 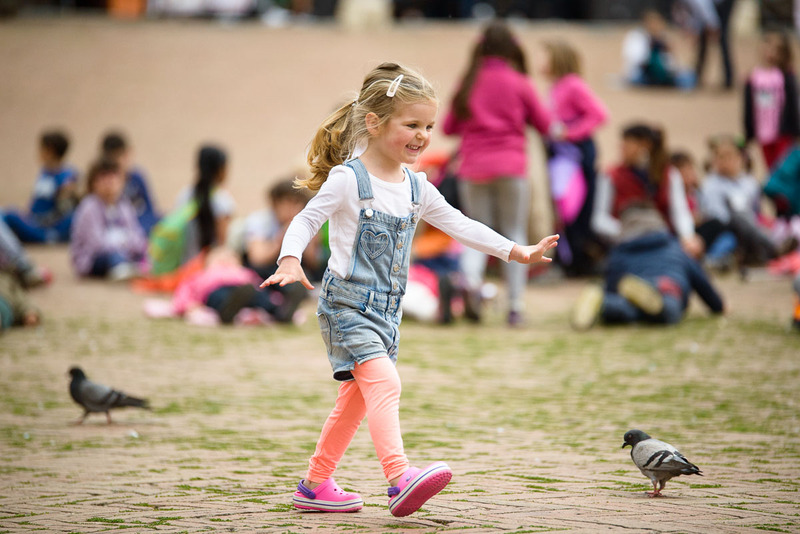 These races put the 17 different neighborhoods of Siena against each other. 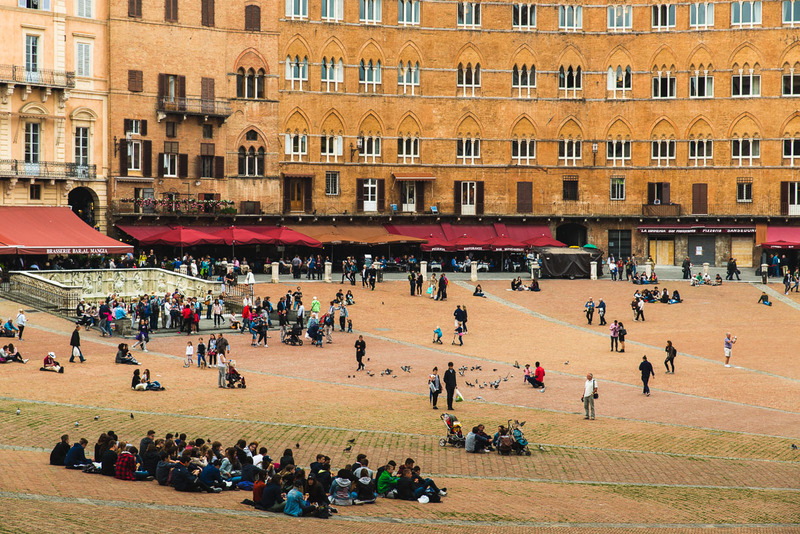 You can’t go anywhere in Siena without hearing about the Palio, it is what unites, but at the same time divides the Sienese more than anything else. 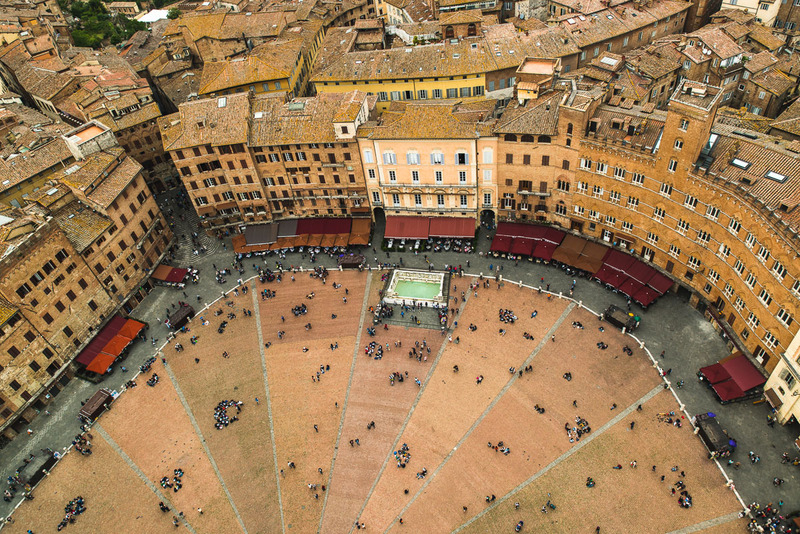 The uniquely round-shaped Piazza del Campo is overlooked by the majestic Torre del Mangia. 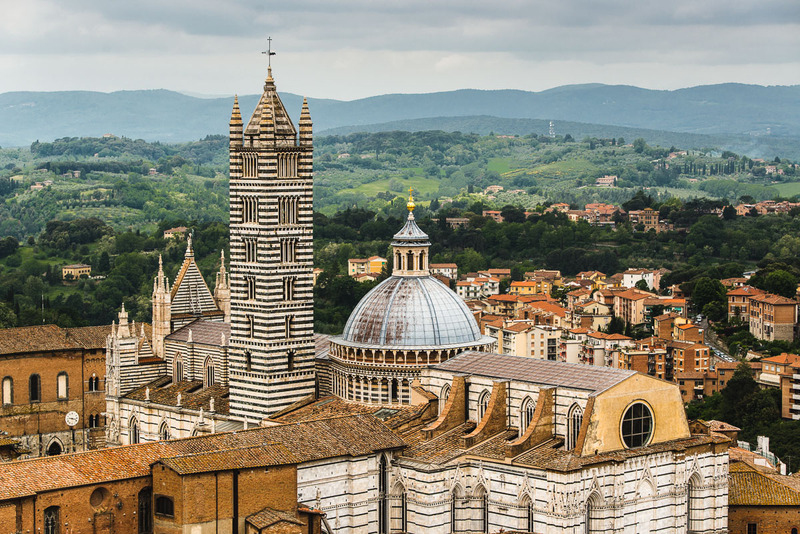 Dare to climb the 400 steps to reach the top of the tower because the views over the city are absolutely incredible. 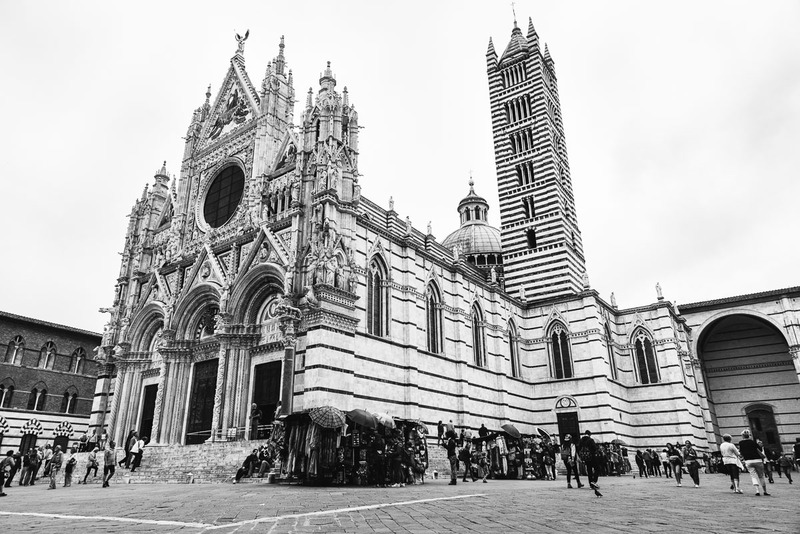 Another sight for the eyes is the beautiful Siena Cathedral. 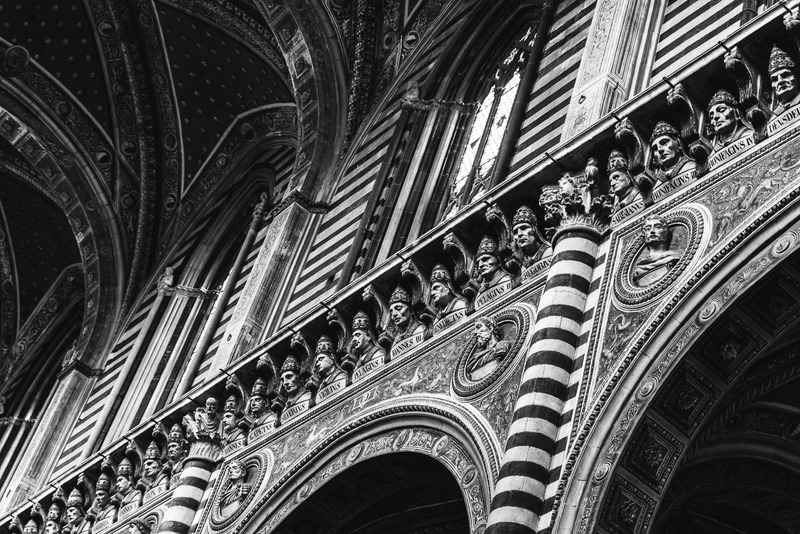 The facade of the cathedral is intricate and full of detail. 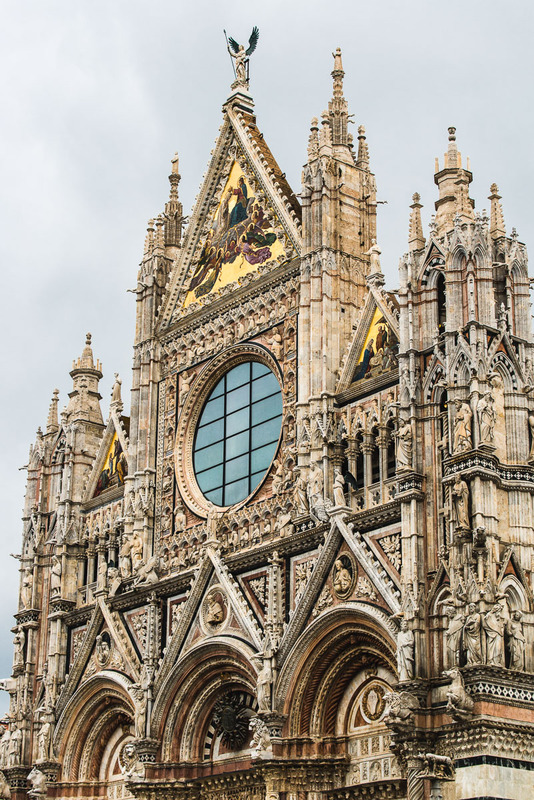 The whole cathedral was painted, sculpted, and decorated by the most celebrated Italian artists of that time. 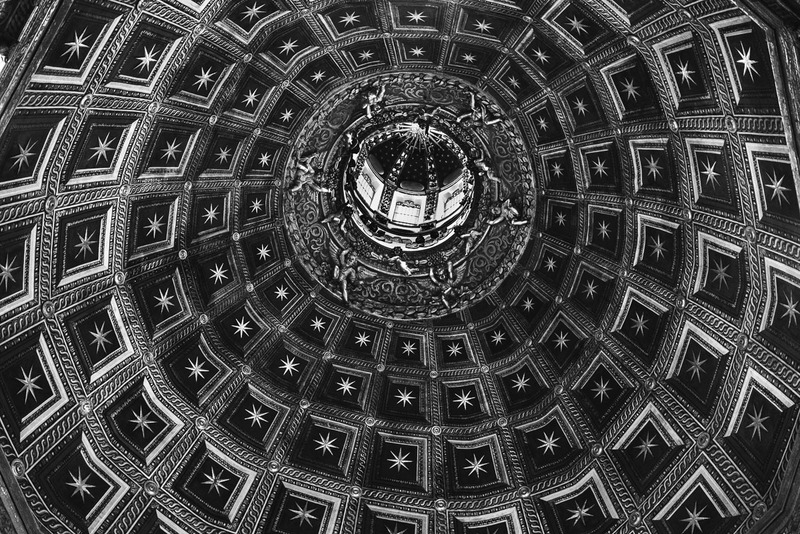 It is just beautiful and I’m afraid these words and photos just don’t give it justice. 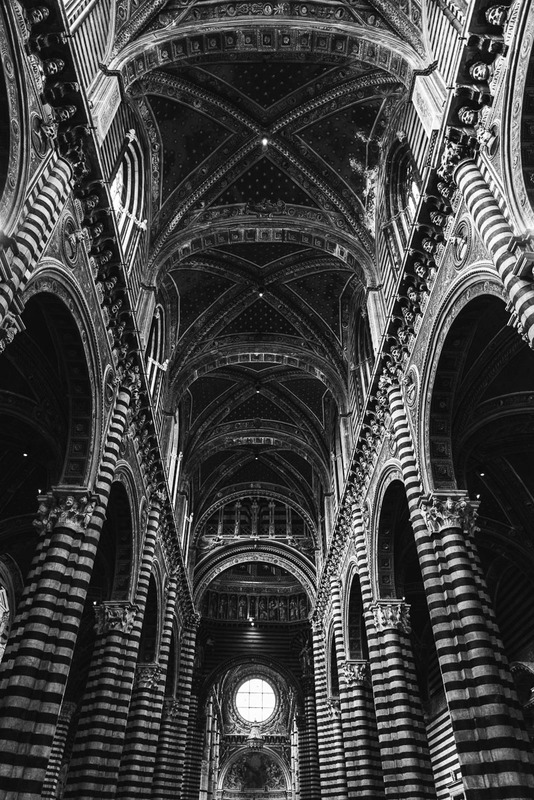 The interior is absolutely jaw dropping, yet another marvel in itself. 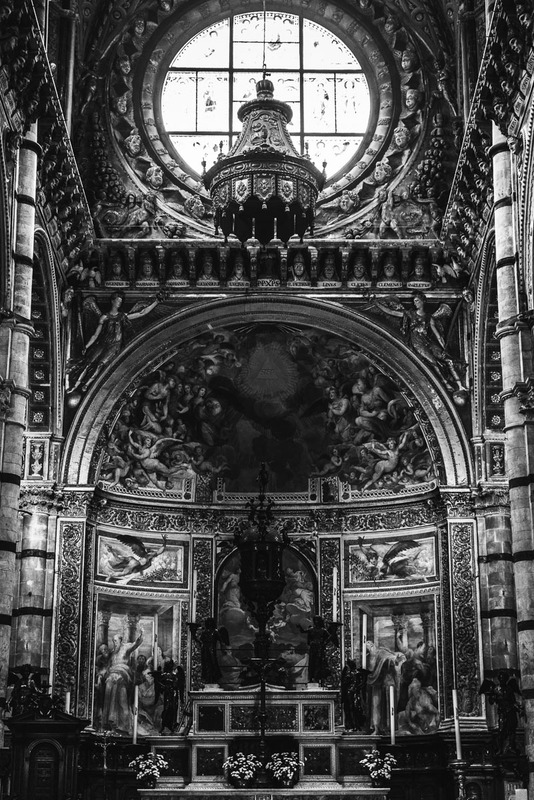 It is like a museum, with its black and white marble pillars, marble floor panels, beautiful renaissance frescos, a huge bronze dome, a sculpture of St. Peter by Michelangelo. 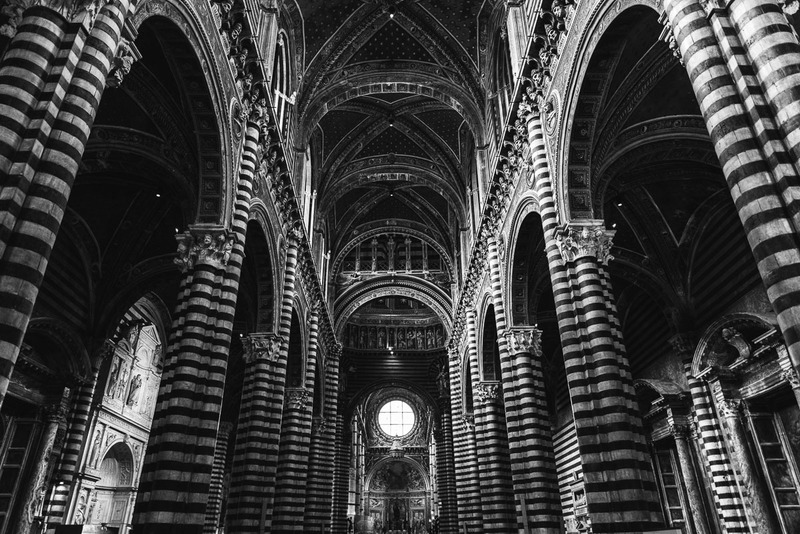 It definitely gives the cathedral a luxurious feel, with no expense spared in displaying the historical wealth of Siena. 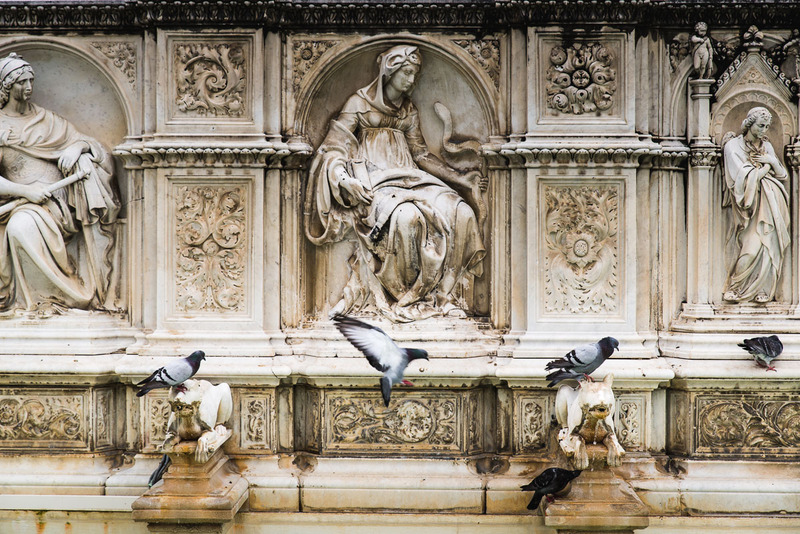 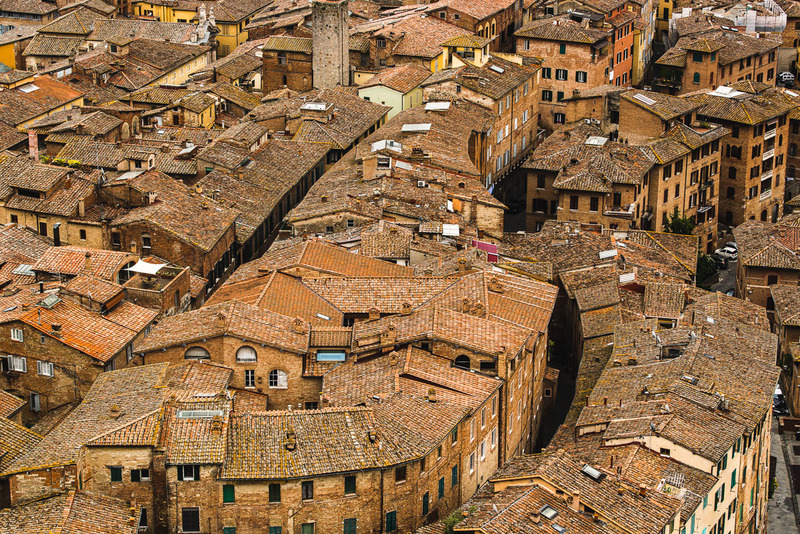 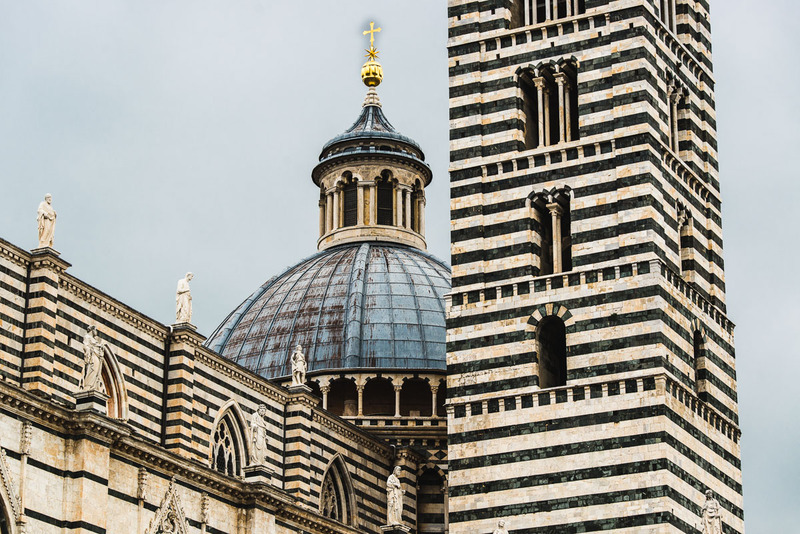 What is it that makes Siena so extraordinary? 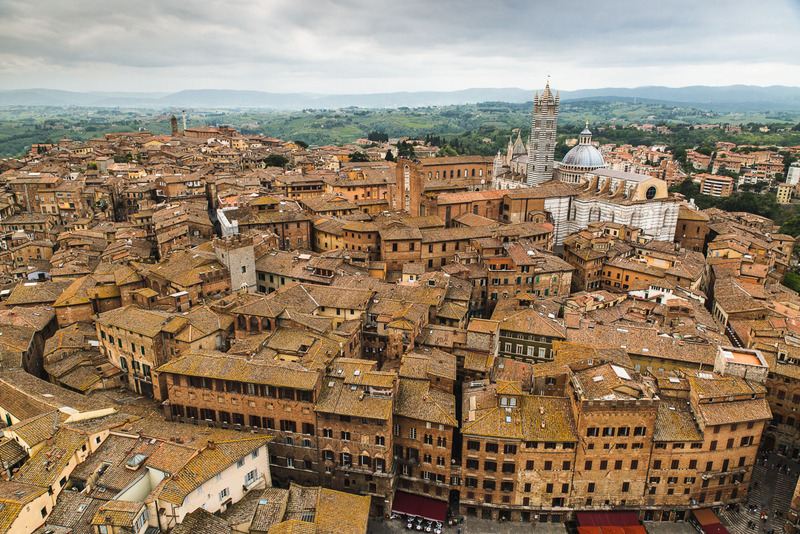 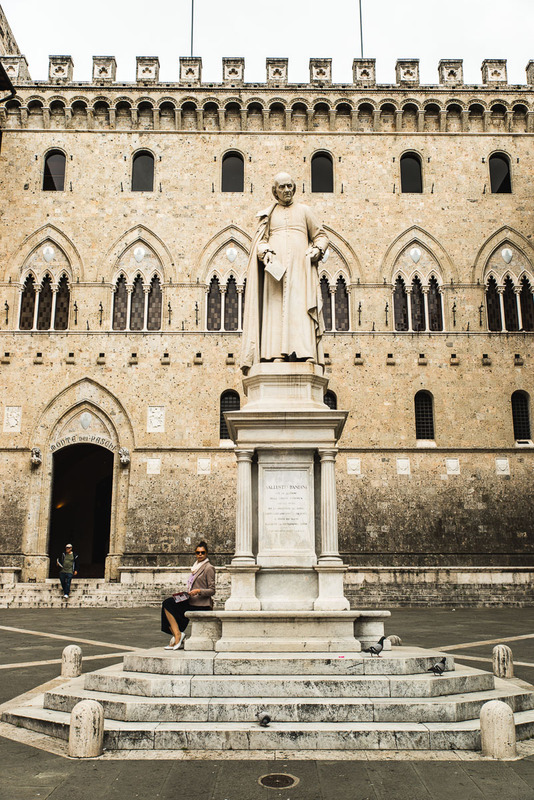 Siena is definitely more than a postcard city stepped in history. 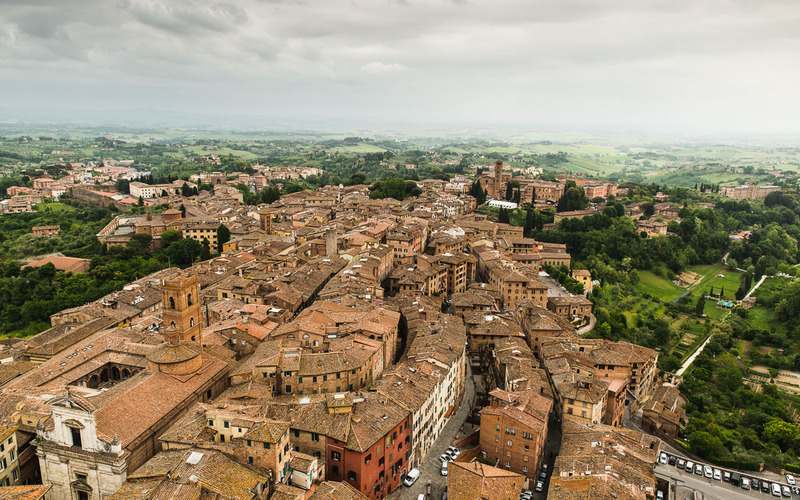 After spending a day wondering the city and soaking it all in, you can easily imagine what life must have been in medieval times. 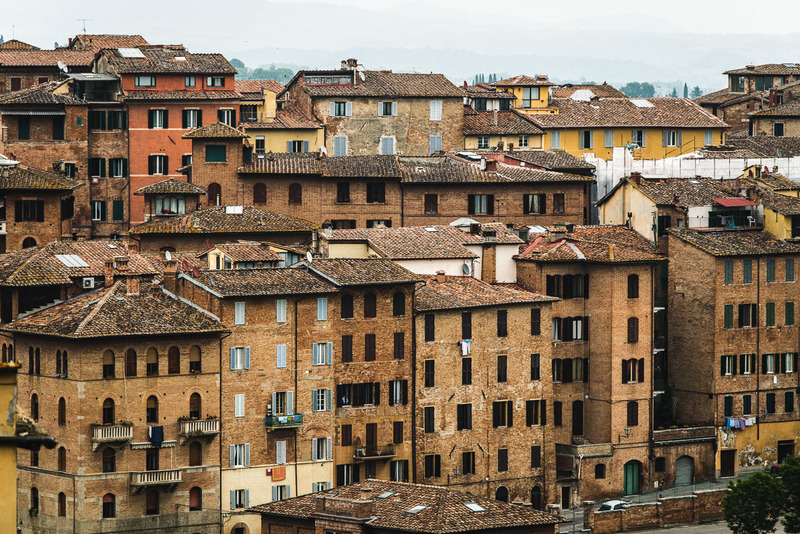 It's a city full of color and wonderful people. 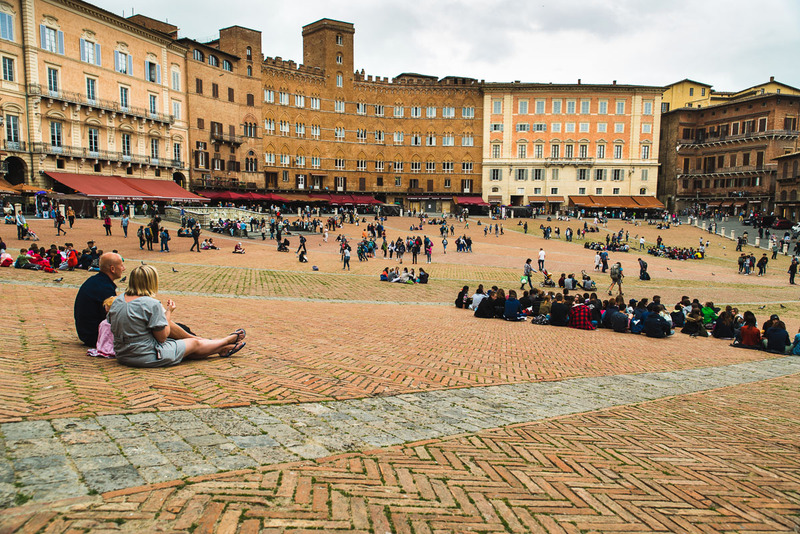 I can tell you more about what makes Siena extraordinary, but I think it is better to pay it a visit, because each one's experience is unique.